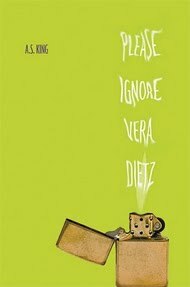 Two weeks ago, my book Please Ignore Vera Dietz came out. It’s a pretty exciting time, but what's more exciting is popping around to interesting blogs and answering cool questions for my hosts. (Official Rules here, if you’re the curious type.) 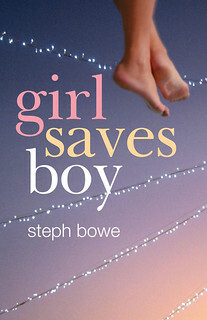 Before I start, I want to say congratulations to you, Steph, on Girl Saves Boy. Watching your publishing story unfold was really exciting and I'll admit it made me goosebumpy on more than one occasion. Rock on. Best of luck with all of it! Okay--on to the brain pizza! Old picture of the cave, but you get the idea! ASK: I live in a small two-hundred year old hunting cabin in the middle of the woods. I have an office in the corner of my tiny basement that we call The Cave. I can't stand up in it, so I'm very lucky that I sit while I write. My history with awesome or more spacious offices is kinda bittersweet. Every time I carved out a nice place to write, I had a baby and had to give my office to them. LOL. About a month ago, I moved to a desk up in my bedroom because my WIP involves airplanes and I didn't think I should write that in a room with no windows. I think I might stay up there a while. So far, it's working out well even though all I have up there is a few thesauruses, a stapler, a printer and some Post-it notes. I wrote my first novel in my bedroom in a small flat in Dublin 17 years ago, so there's something a little nostalgic about rolling out of bed and straight into the chair. I'm lucky to have a Mr. King who delivers coffee. SB: I'd love for you to recommend things that you find inspiring - particular songs, or films, or experiences. ASK: Do most other writers find music as inspiring as their favorite books? Please Ignore Vera Dietz was inspired on a drive across town to buy organic rice. I happened to be listening to OKGO's OhNo in the car and I drove by the old pizza delivery store where I used to work and one song reminded me of an old friend who isn't with us anymore and BAM. Next thing you know, I'm in a parking lot, scribbling notes and Vera Dietz was born. I think the most inspiring things I do are: Working with and meeting new people. Or traveling to new places, or reading history books. SB: I'd love to hear a bit about your high school experience (horrifying? or the best years of your life?) 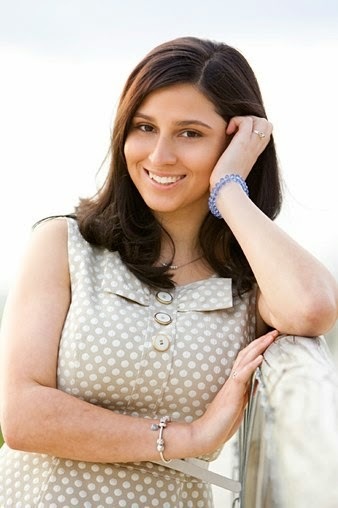 and whether you think your experiences during your teen years are what influenced you to write YA as an adult. A.S. King circa 1986/87 typing in the guidance office. 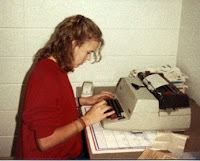 ASK: There is no doubt my high school experiences have influenced me to write YA books. 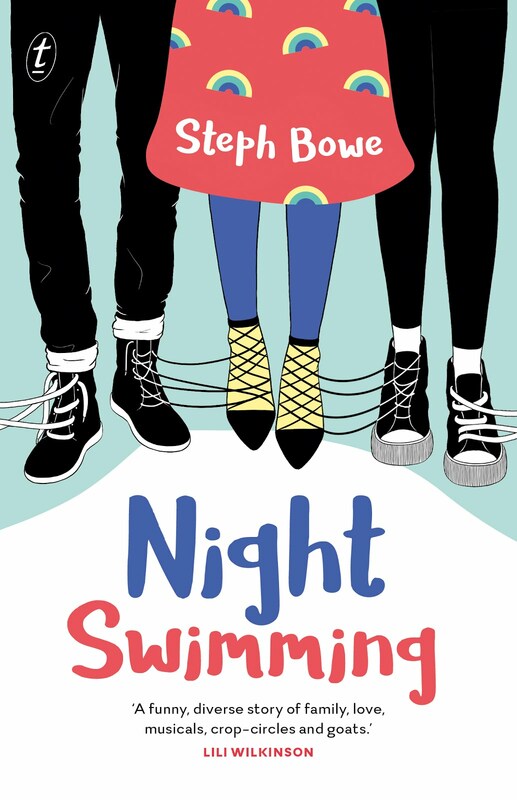 Even when I didn't know I was writing YA books, I was writing about teenagers and coming-of-age. I wouldn't call my teen years the best years of my life, but looking back, they were pretty good, I guess. I had a few great friends--the closest of which I am still close to now 25+ years later. I was a poor student, though, which is one thing I'd change if I could go back. I played basketball and loved that. For me that was a huge part of my whole life, really--so being on the high school team was a big deal. 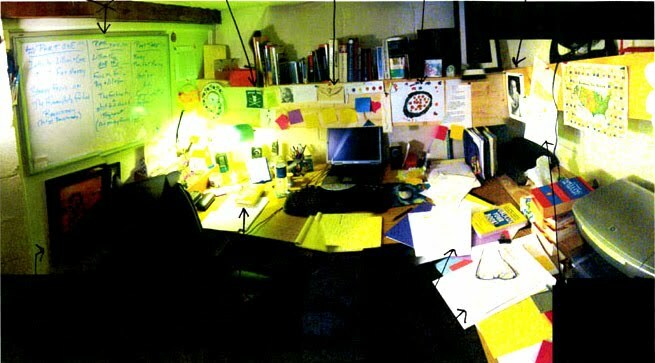 But ever since my 10th grade poetry teacher made us start writing in journals, I would write for at least an hour a day. I did have some horrifying moments--the usual stuff. Mean boys, mean girls, rumors, being exposed to the beginnings of bigotry and ugliness the world has to offer--just like everyone else. Okay. I had quite a bit of that because I was pretty weird, but still, the further I get away from it, the less horrid it looks. Maybe I've always just been writing it out. Your awesome all veggie topping combo earns you a BONUS GIVEAWAY! This means one lucky reader will win a signed copy of PLEASE IGNORE VERA DIETZ! All you have to do is leave a comment in the comment trail about your favorite type of pizza! Contest ends on October 29th, 2010 midnight EST. Before I go, I should really tell you a little about my book, shouldn’t I? 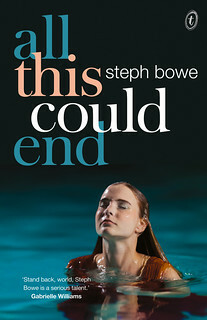 Thank you Steph, for having me over to you blog and for helping me celebrate the launch of my new book! I hope you enjoyed the [imaginary] pizza!